Topping off an African ensemble with an eye-catching head wrapping is essential, particularly for a special ceremonial event like a wedding, naming ceremony or festival. It’s not quite clear where the custom originated, but a head wrap is a cultural must-have accessory across Africa, particularly in Nigeria where it is called a gele. With a resurgence in African pride in recent years, the head wrap has become stylish among African communities across the world. Experts in the use of the gele are the Yoruba tribe, who perfected the tying of this traditional head dress into elaborate concoctions to enhance the beauty of the face, complement the outfit and act as a regal crown to grace the head of proud, dignified African women. 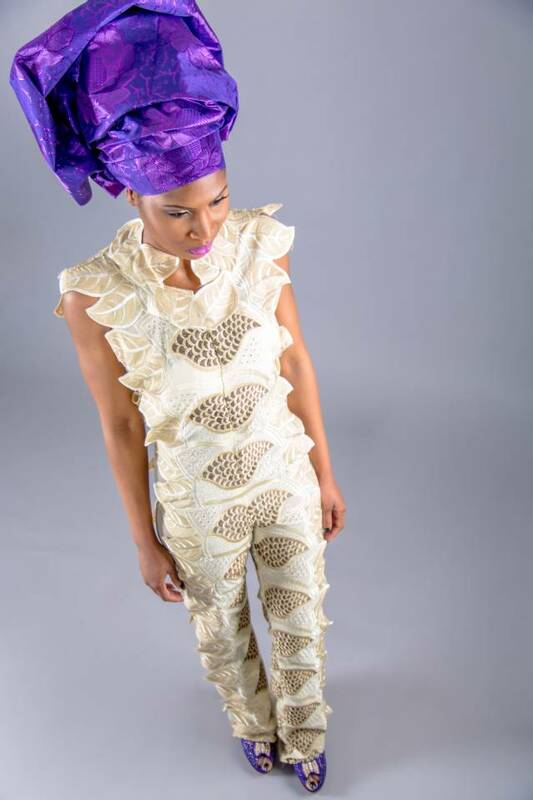 The fabric of choice for a gele is Aso-Oke – originally a textured, tightly hand-woven, glossy, cotton cloth crafted in a variety of traditional patterns and colours. The threads now used in weaving are mostly cotton, silk, rayon and metallic lurex fibres. The result is a shiny, stiff fabric which resembles great quality wrapping paper! Wearing Aso-Oke was traditionally a sign of wealth for both men and women; little wonder it means literally “top cloth” and was favoured by Nigeria’s kings (Obas). For a basic wrap, you need between a half and whole yard of fabric. For most Nigerian women, wrapping a gele is as easy as tying a bow, but if you are a novice you may need some practice to achieve the look – and a can of spray starch to keep the fabric smooth and crisp. Failing all else, consult an expert to teach you! The rule of thumb, though, is that the gele should cover all the hair, and the ears down to the lobe (to show off earrings). When it comes to colour choice, most designers agree that head ties should match the rest of your outfit, or complement the theme of the occasion, at a wedding for instance. Luckily, we’ve got an enormous range at Empire Textiles! ← How do I still Wear West African Prints Throughout Autumn and Winter?